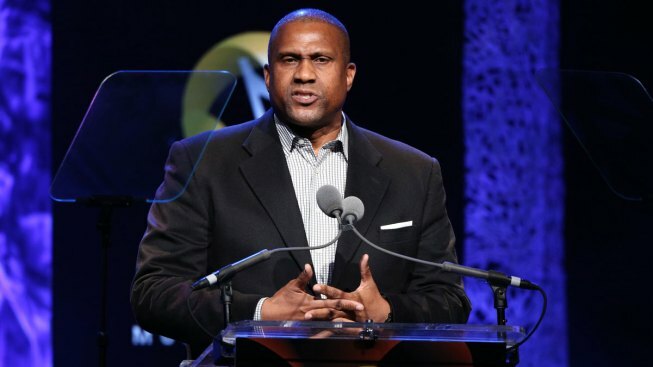 PBS suspended Smiley after an independent investigation uncovered "multiple, credible allegations of conduct that is inconsistent with the values and standards of PBS"
Tavis Smiley's career has taken another hit as live producer Mills Entertainment pulled out of backing the TV host's theatrical production focusing on the last year of Martin Luther King Jr.'s life. Smiley, who has been indefinitely suspended from his PBS talk show and lost his Walmart sponsorship, was to launch a nationwide 40-city tour of "Death of a King: A Live Theatrical Experience," based on his 2014 book. But Mills Entertainment said Friday that "in light of the recent allegations" it will "suspending our relationship with" Smiley. "We take seriously the allegations," the statement added. PBS suspended Smiley after an independent investigation uncovered "multiple, credible allegations of conduct that is inconsistent with the values and standards of PBS." Smiley has vehemently denied any wrongdoing.